Suffolk County's ONLY Professional Photo Lab, Serving Amateurs, Professionals, Artists and Students since 1992. ALL ARE WELCOME! Color Images can scan film of all sizes and formats. We can create extra large digital files of your film that could then be used for Large Format Digital Printing. 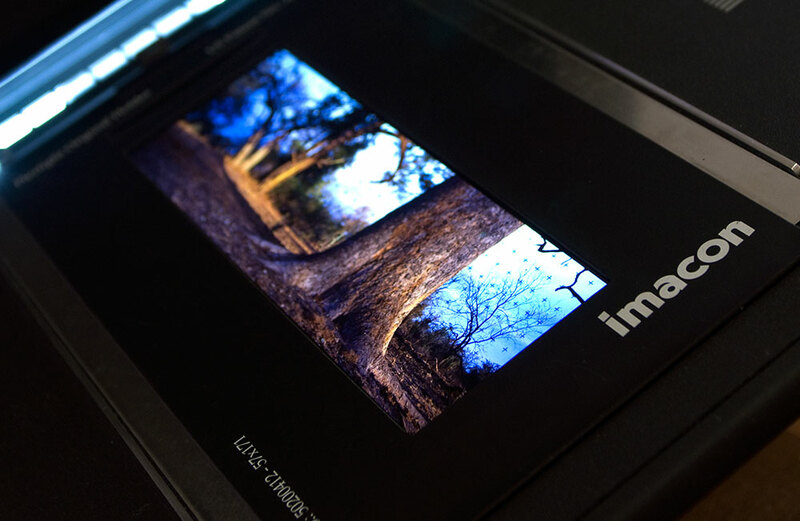 We take extra care to make sure that the color and dynamic range of your scanned image is at its maximum potential. We also offer economic "Raw Scans" for people who are already knowledgeable with Photoshop and can finalize the scans themselves. High Resolution Drum Scanning gives the highest quality printing possible. This is NOT a flat bed scan; nothing ever touches the surface of the film as it is being scanned, which makes an excellent quality print, up to sizes as large as 40 inches x 80 inches. OR, if you have large quantities of Slides or Negatives, and you would like to choose a more economical and less critical option than Drum Scans, and you would like to see them on a DVD Slide show, or scan them so that you can make prints from them, please go here: Slides to DVD. Or, if you have large numbers of old Photographs, we can also put those on to DVD as well, either to view, or to make copies from. For more info, please go here: Photos to DVD.